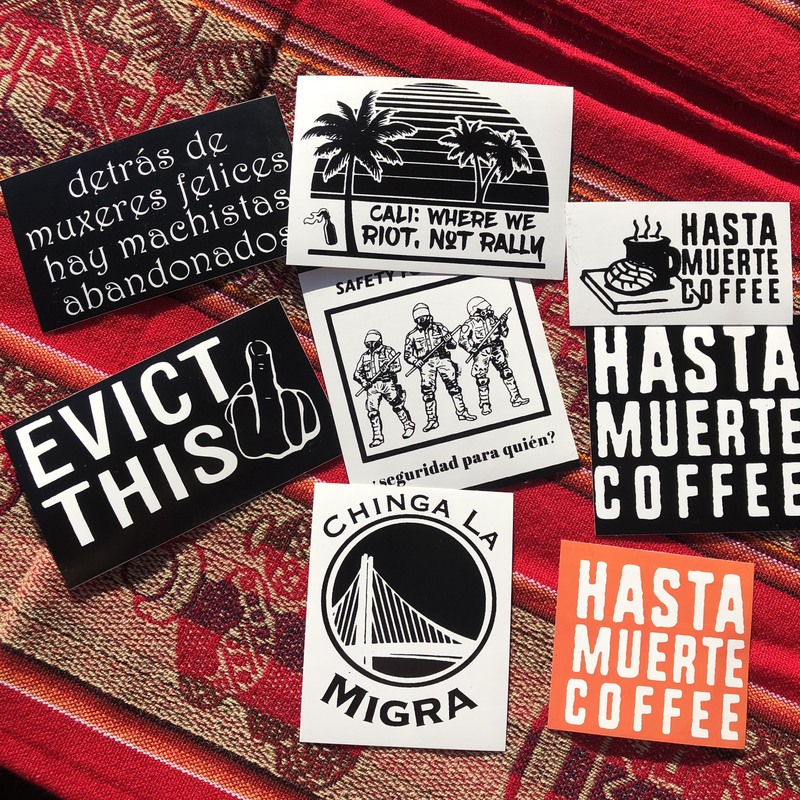 Every month receive our signature Autonomía house blend coffee beans and a sticker pack featuring new stickers each time, and help keep use of our community space free or low cost to groups that need a place to hold events. 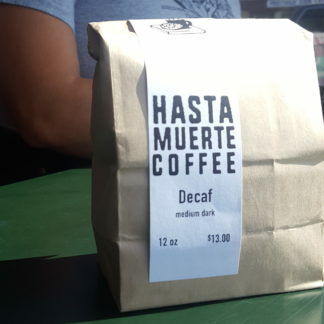 Bulk pricing is great for offices, organizations, or just serious coffee drinkers. 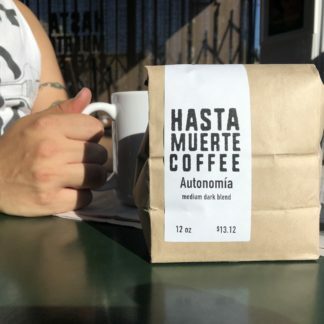 Our popular Autonomía coffee is a smooth medium-dark blend with taste notes of caramel, chocolate, and blueberry. These high-quality, specialty coffee beans are direct sourced ethically and roasted locally. Choose this option to order 5 pound bulk bags of beans. Price includes shipping!